Join us in the cool pines of Heber, AZ, and experience Leadership camp like no other! Spend 4 days bonding and learning skills to make your officers and troupe more cohesive and productive. 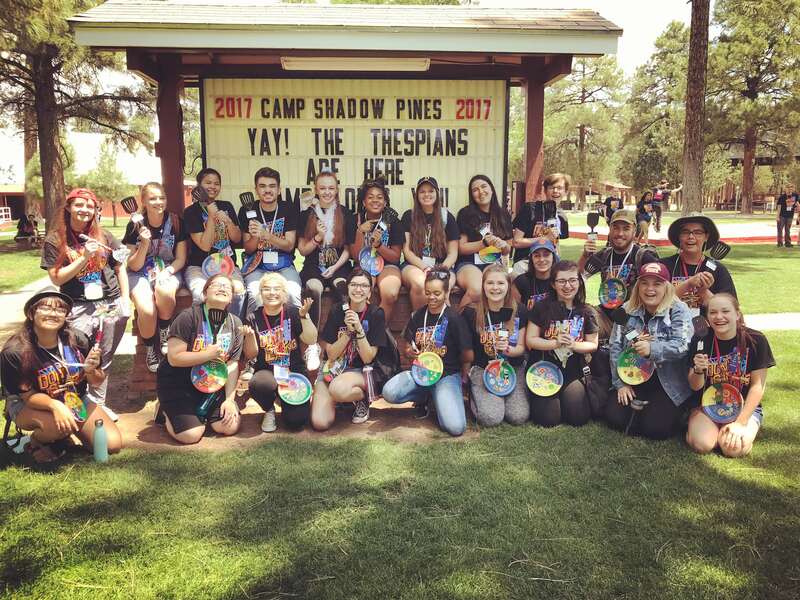 At camp you will have the opportunity to participate in workshops and network with other Thespians, while gaining valuable tools to better your club, school, and communities. The camp registration fee covers food and dorms rooms. All students must attend with their school and sponsor. All sponsors must remain on site with their students through the duration. Schools are limited to 15 students attending Camp. Registration is online. Please see the links below to register. Download the camp information sheet to learn what the fees are and how to register. Day 3 – Bippity, Boppity, Boo – What does Leadership look like to you? Troupe Director Registration Portal Guide 2019 this guide is for assistance with the registration portal. STO Application for 2019-2020 term DEADLINE FOR SUBMISSION IS JULY 1st. Sponsor STO Recommendation form for 2019-2020 term DEADLINE FOR SUBMISSION IS JULY 1st. 2019_AZ Thespian Leadership Camp_consent_and_acceptance_form – All students and adults must have a copy at registration and with troupe sponsor. Leadership Camp Registration – registration is a two step process.